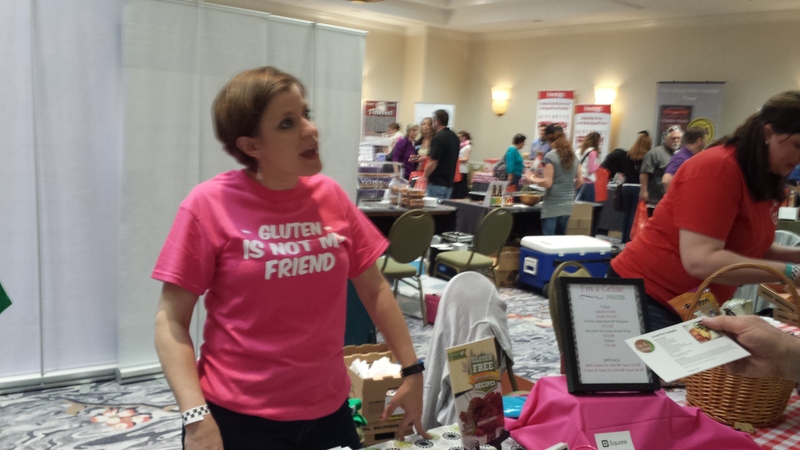 This past weekend, I went to the Gluten Free & Allergy Free Event in Charlotte. I look forward to this event every year. 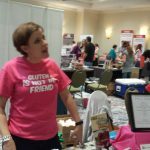 I get to meet up with some fabulous bloggers in our industry like the Contrary Athlete or Nutrimom (you should check them out) .I also get to meet up with some fantastic regional and national food manufacturers making a difference. 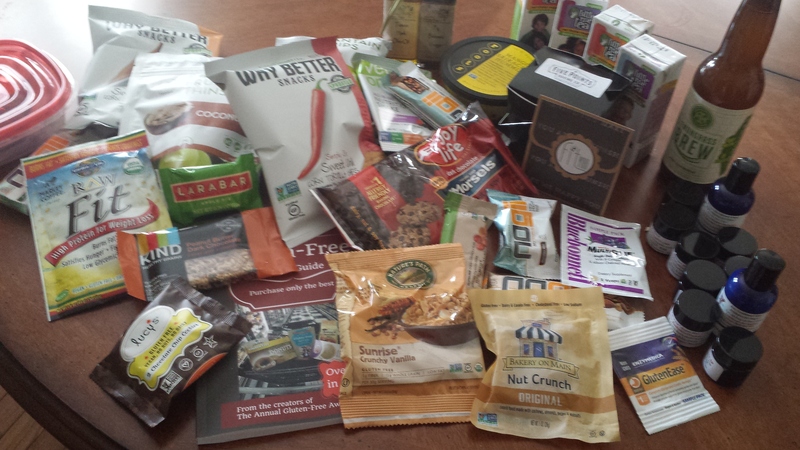 I find food that is dairy free, nut free and of course gluten free. What’s even better is that it is a really safe environment. I do not mean safe in terms of danger of eating some thing that could kill me, but I mean safe in terms of hanging with people that are like-minded, my peers so to speak in the food allergy community. 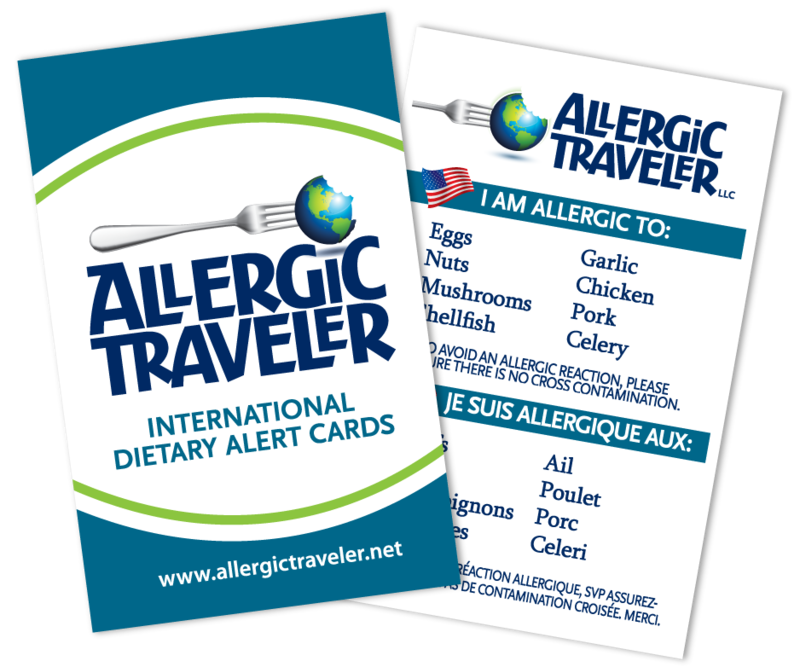 There is a certain level of comfort that comes with knowing you are not the only one fighting food allergy. So here are a few of my favorites. Did you go to the show? What did you think? In no particular order, you have got to try these products! Redemption Brew Works: divine non-alcoholic beverage. Very fresh. 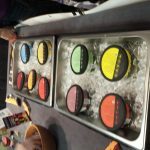 They were sampling two flavors, Ginger Beer and Lemon Grass. The latter was my favorite. Fields of Gold: They have an array of product. But by far my choice was the gelato. Primarily because I have never had it & it was delicious. Atty Cakes: NOT gluten free but definitely egg free, dairy free and nut free. Her cupcakes were so moist and delicious. 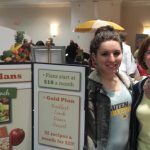 Gluten Free Meals: If you don’t know Mary, you need to. She is a riot! Her menu is gluten free, dairy free and corn free. Two Foodies: Gluten free pizza dough. Now I could not try it as I am allergic to corn but there passion and love of their product knows no bounds. 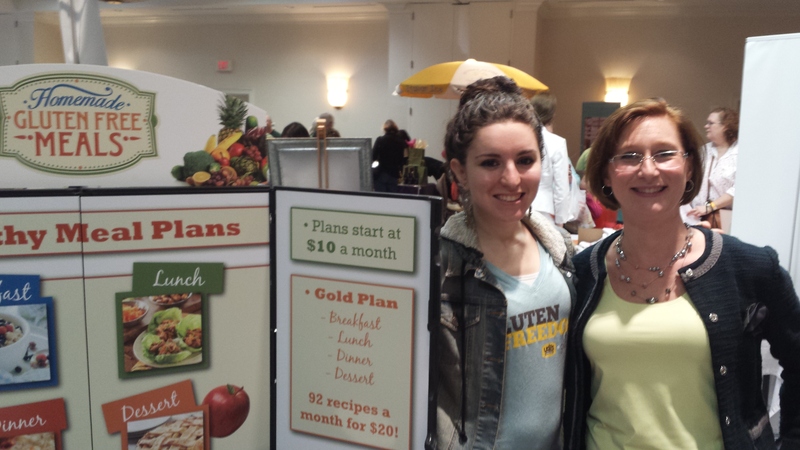 IamCeliac: Pam is a remarkable woman making a difference in our community. She has cookbooks, a blog and a weekly menu. GF Mom Certified: Tiffany has a long list of allergies (gluten, wheat, red dye #4, eggs, etc.) she has to contend with in her house, including her own. She is an inspiration. You must get her cookbook. Artisan Tropic: This family run business offers snacks to those of us allergic to corn, potato and soy. They have plantain chips, dried fruit, and my favorite cassava chips. Roots: I love this company and I can’t even eat their product. Their tag line is “The Microbrew of Hummus.” How cool is that? 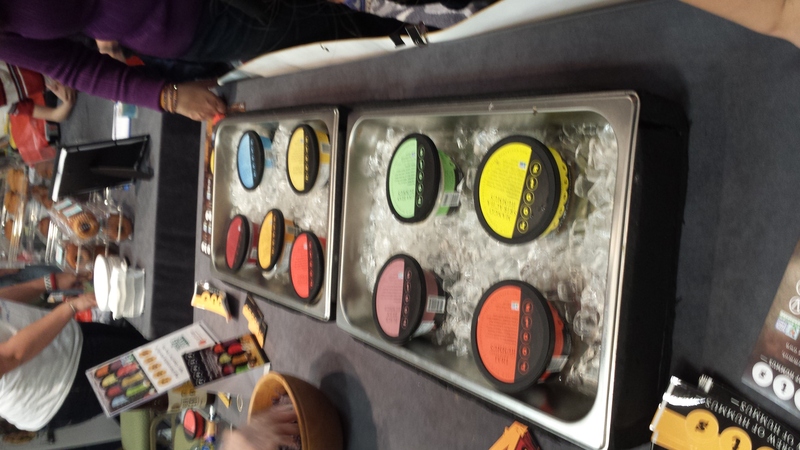 They are out of Asheville and frequently come up with new hummus flavors. Now if only they could make one sesame free! Gluten Free Buyers Guide: Great book that offers you a roadmap through the world of gluten. All mentions in the book are voted on. Almost 3,000 voters help tell you what’s best in the industry. Oh yeah back to my beef…. So this show has many local vendors. It was held in Charlotte, North Carolina. I live in Greensboro, NC, which is about 2 hours away. 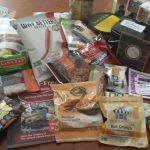 The problem that arises is that I find so many great local products but they are only being carried in local grocery stores in Charlotte like Healthy Home Market or the Produce Box ….. Come on Harris Teeter, Fresh Market and Earth Fare, we need to have these products available to us throughout the state and the country!